Here is another great Christmas item (I seem to find all the best Christmas goodies just after Christmas). 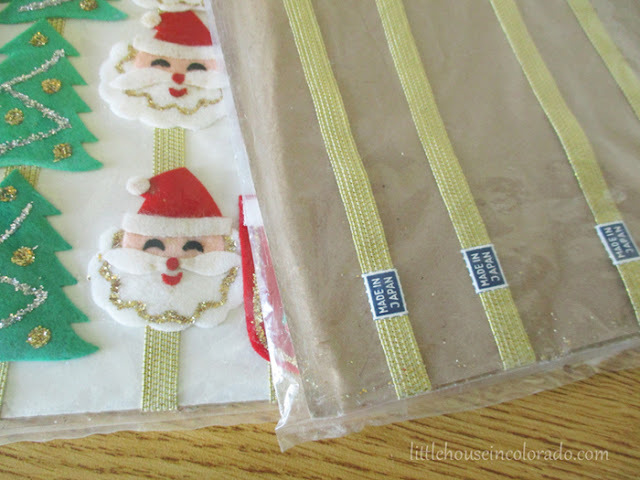 This is a set of felt and glitter Christmas package tie-ons in their original retail packages! 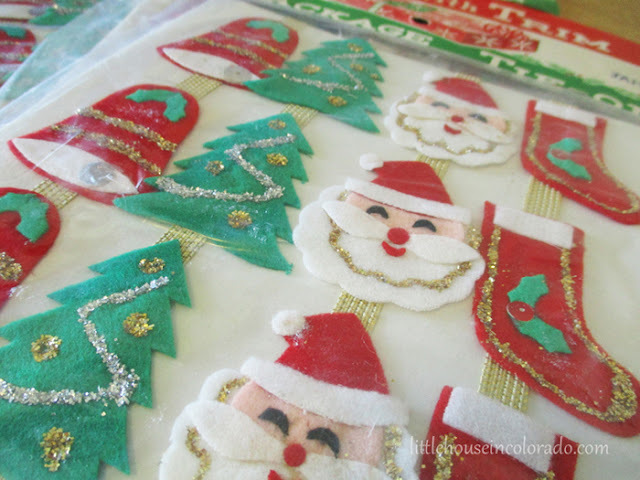 There appears to be four embellishments per ribbon in 4 different designs; Bells, Christmas Trees, Santa and Stockings. 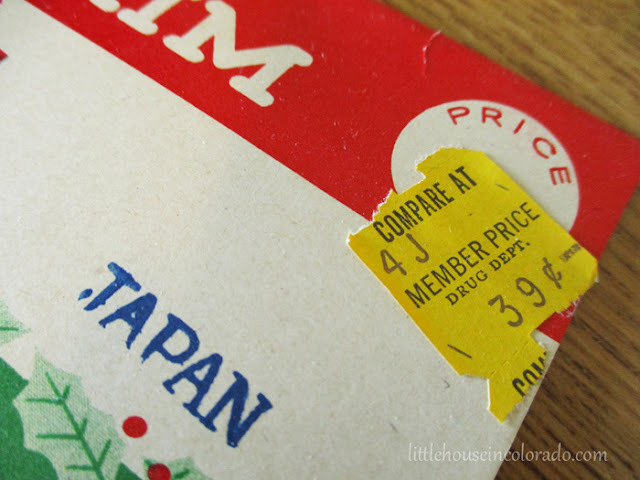 They all have "Made in Japan" labels on them. These would be so cute adorning Christmas gifts! 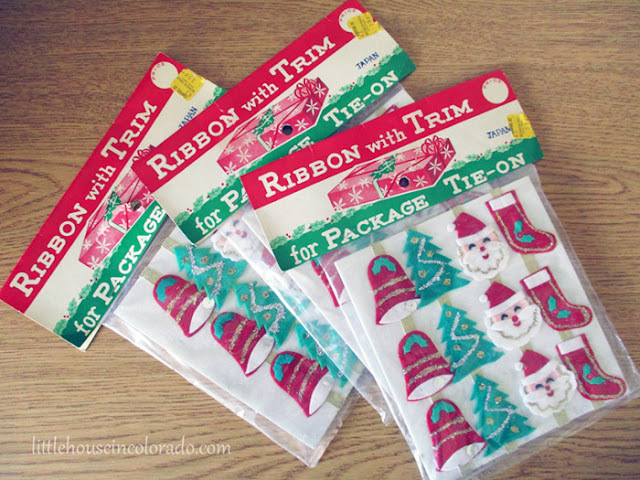 You can find these Christmas Package Tie-ons, as well as other vintage Christmas items, in our Etsy Shop.